You knew the responsibilities in your last job and your performance was measured against them, for the most part. But in your new role as a job seeker, has anyone outlined what you are responsible for? 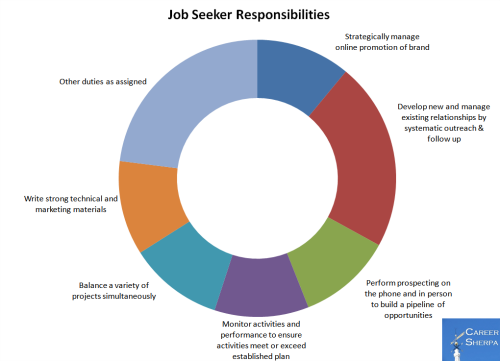 In other words, what are the skills and responsibilities required of a job seeker today? 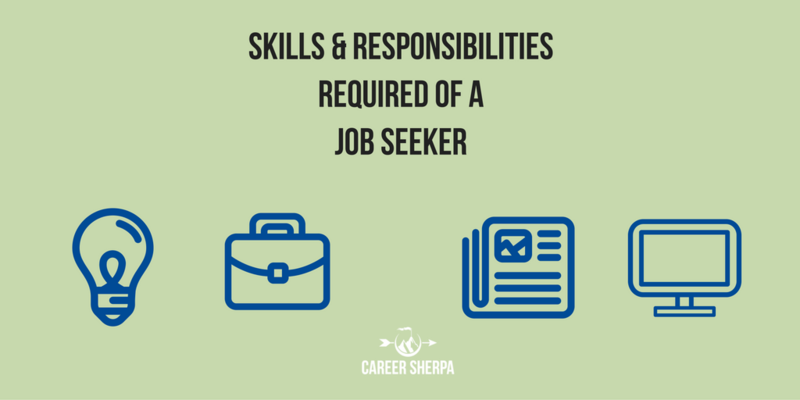 A modern job search requires you carry out these duties. 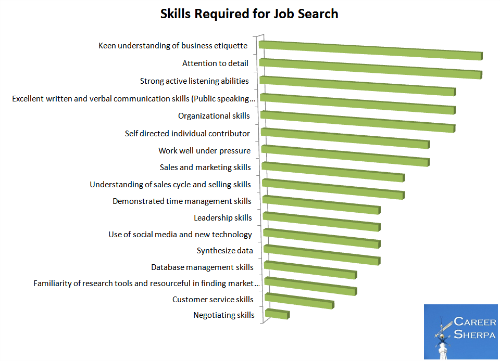 Now, how about the skills required of a modern day job seeker. 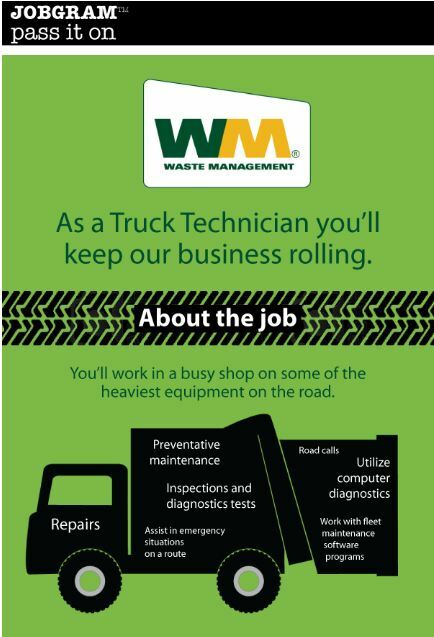 Here is part of what a Truck Technician job with Waste Management looks like. Creating an infographic requires additional thought and effort on the part of the employer. I like this a lot. Too often we see bland, meaningless job descriptions. 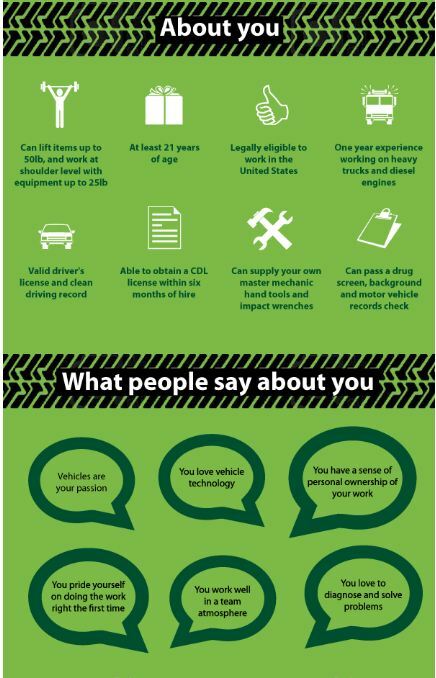 It may or may not catch on, but with the rise in awareness of employment branding…one never knows!